The Roman Clay coins were a big hit with both kiddies so I suppose I shouldn’t have been surprised when during our latest cookie baking session my daughter decided it would be good to make some Roman Cookies. We already had our normal cookie dough all mixed and on the table ready to create the cookies so the kids just rolled out the dough, created a variety of shapes using their cookie cutters (sorry have no idea where ours originally came from – highly likely it was the local supermarket a few years ago). 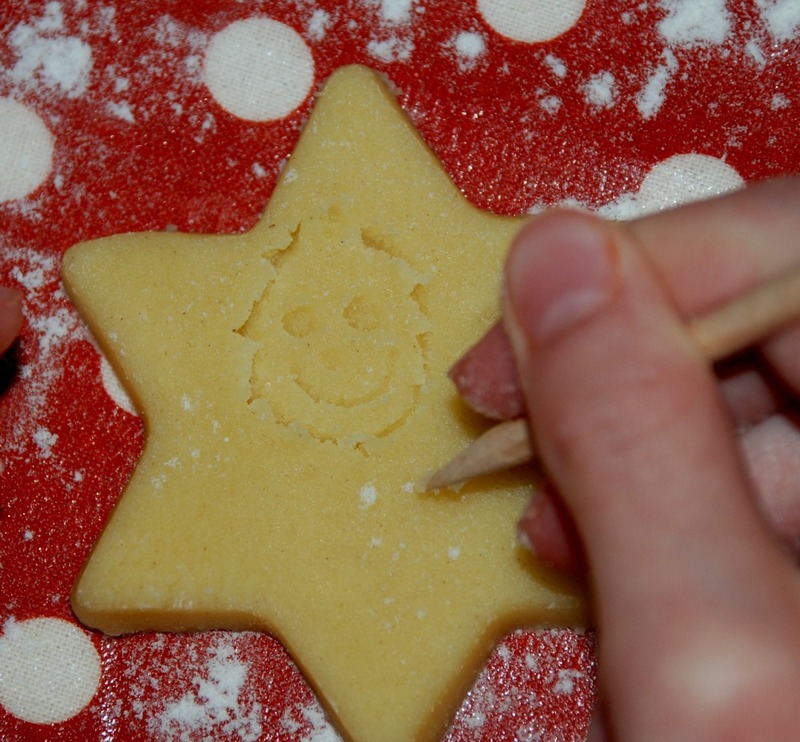 And they used some bamboo skewers sticks (like what you would use when you make kebabs) to write the Roman numerals onto the cookies and also to draw a few faces. I must admit with all the Roman coin making and now Roman cookie making both kids are getting very confident at using the different Roman Numerals. My daughter did ask me put the Roman poster back on the kitchen table for reference. However I did notice that she hardly looked at the poster, she happily wrote her numbers and possibly checked the poster twice the whole time. After we baked our cookies and let them cool, both kids had a go at adding some icing over the writing / drawings that they made on the cookies. 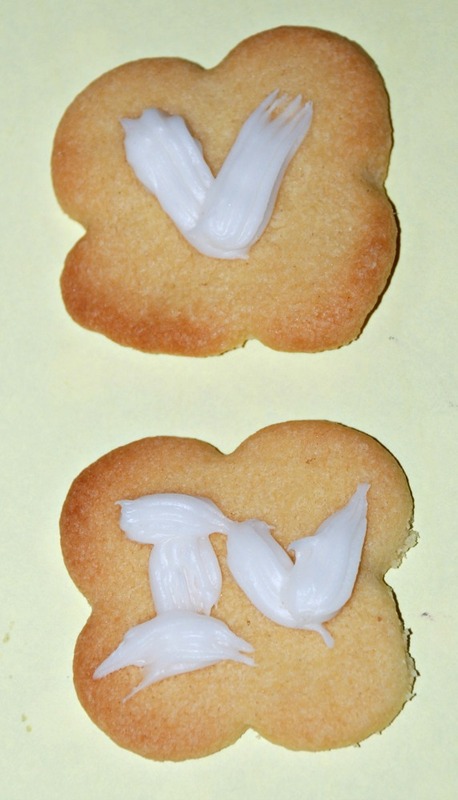 My son did battle when it came to writing over the Roman Numerals in icing and in the end he decorated his cookies however he wanted (he found it very tough squeezing the icing out and then once he did get the icing he battled to control his writing. 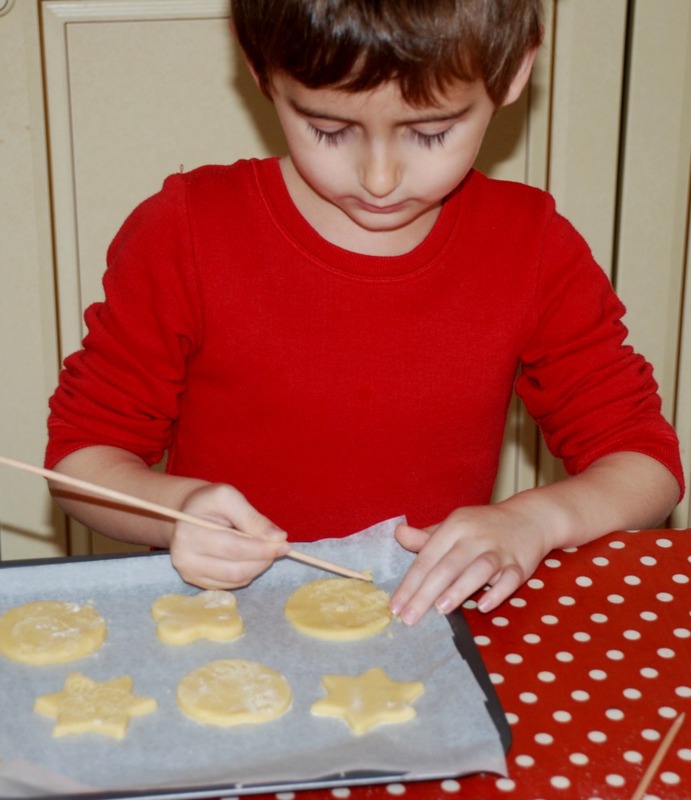 He easily managed the writing of the numerals onto the cookies before we baked them it was just the ability to control the icing and trace over the numerals that we could not quite manage). I must admit we are really enjoying our sudden Roman interest and all because the kids found a few good books to read. 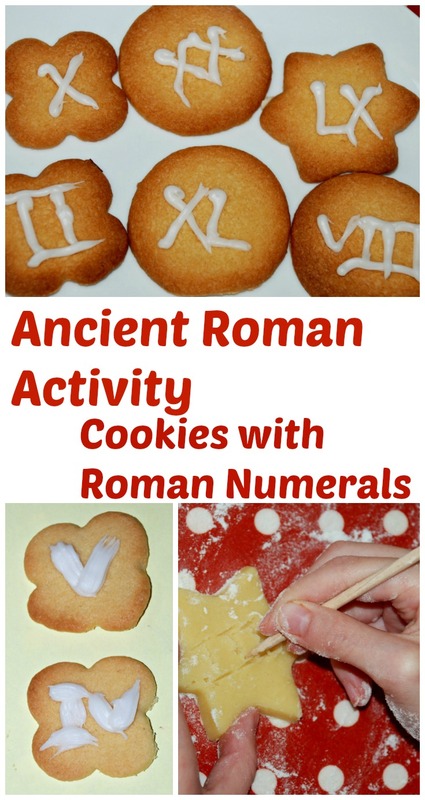 This entry was posted in Baking with Kids and tagged baking with children, History, home education, homeschooling, Roman Numerals, Romans. Bookmark the permalink.